This paper analyses two methods of organizing parallelism for the Smith-Waterman algorithm, and show how they perform relative to peak performance when the amount of parallelism varies. 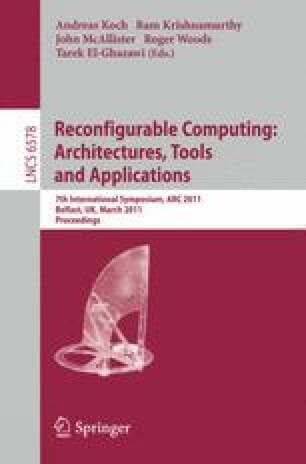 A novel systolic design is introduced, with a processing element optimized for computing the affine gap cost function. Our FPGA design is significantly more energy-efficient than GPU designs. For example, our design for the XC5VLX330T FPGA achieves around 16 GCUPS/W, while CPUs and GPUs have a power efficiency of lower than 0.5 GCUPS/W.